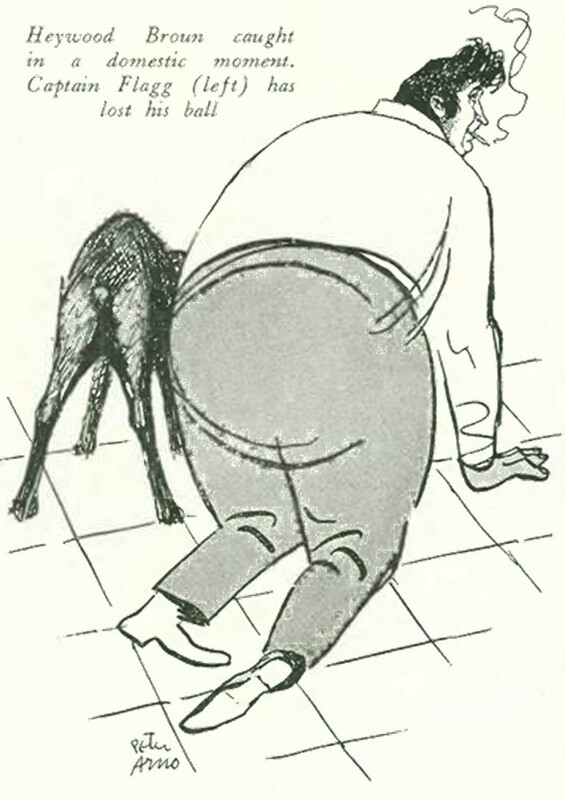 In the darkest days of the Great Depression, Heywood Broun, a sportswriter more famous for his gambling exploits during the Roaring Twenties and for sneaking shots of gin during meetings than his reportage, haphazardly transformed journalism with a newspaper column. His August 1933 installment opened with a letter from an anonymous journalist identified as “Reporter Unemployed,” who scoffed at hopes that the federal legislation could save the newspaper profession. At the time, the industry was hemorrhaging jobs and advertising dollars — between 1931 and 1933, the International Typographical Union reported a steep nineteen percent decrease in regular employment among its thirty-one thousand members — but only the printers, engravers, and other blue-collar newspaper workers were protected by unions. After five New York publications shuttered during that same period, the president of the New York Typographical Union counted more than six hundred unemployed members in 1933; fewer than twenty of those unemployed workers had managed to find new work. Reporters and editors, meanwhile, didn’t even have a union to count how many jobs were lost in the closures. The union movement then was still confined to factories, service workers, and other blue-collar professions, even though many believed that labor could never mature unless it was embraced by white-collar workers like journalists. “Show me two white collar workers on a picket line … and I’ll organize the entire working class,” said Samuel Gompers, who helped found the influential American Federation of Labor 1886 and served as president of that labor organization for nearly forty years. Despite his jokey tone, Broun ended his column with a promise to support a union for writers. “There should be one,” he concluded. “I am going to do the best I can to help in getting one up.” Even Broun’s friends couldn’t say for sure what he intended to accomplish with his vague offer “to help,” but his column quickly spread across the entire country. In A Union of Individuals: The Formation of the American Newspaper Guild, 1933–1936, Historian Daniel J. Leab wrote: “By the dozens, from Boston to Honolulu, they wrote to him outlining the newspaperman’s depressed economic situation in their areas.” Broun started hosting meetings with like-minded writers and editors at his Manhattan home. Within two months, he cobbled together a hundred and fifty newspaper workers (a fraction of the thousand “working newspaper men and women of this city,” by a New York Times estimate) for the launch of the fledgling “Newspaper Guild of New York.” This organization began with a loose constitution and three demands: a five-day, forty-hour work-week, a minimum scale for wages and ample notice before a firing. According to trade publications, newspaper writers and editors in nearly twenty cities across the country — stretching from San Francisco to Cleveland to Buffalo — were inspired to form similar organizations. By the end of the year, Broun and his team quickly realized that a national organization would be necessary to harness this momentum. One early New York organizer recalled that the group channeled about eighty percent of its resources toward building a national movement. Leab described the Guild’s gamble: “The New York Guild devoted most of its slender resources to the advancement of national organization, although some of its members began to complain about misappropriation of their dues.” That investment paid off in December 1933, when delegates from around the country met at the National Press Club in Washington DC to form a national organization. Broun handily won the election, becoming the first president of the American Newspaper Guild. Broun returned home, refocusing his energies on his local chapter of the American Newspaper Guild. Under Broun’s guidance, the Newspaper Guild of New York elbowed its way into public consciousness in 1934, with a series of dramatic conflicts with publishers around the city. The guild staged its first actions at Long Island Daily Press, a paper recently purchased by a young businessman named S. I. “Sam” Newhouse. Newhouse made the ideal first opponent for the guild — a stubborn media mogul who built his empire from scratch. Born to European immigrants in a Lower East Side tenement building, Newhouse dropped out of school in eighth grade and began a career in business to take care of his family. As a sixteen-year-old office manager, Newhouse demonstrated a nearly supernatural ability to transform failing newspapers. As a teenager, he turned around New Jersey’s Bayonne Times; at twenty-seven, he bought a controlling stake in the Staten Island Advance. He did not look fondly on organization efforts at the papers he worked hard to rehabilitate; when forty employees of the Daily Press tried to join the Newspaper Guild in 1934, the paper’s leadership fired eight of the union organizers. In response, guild members spilled into the streets of Jamaica, Queens, where the newspaper was printed. The protesters passed out flyers about the Daily Press firings to businesspeople and theatergoers one evening in July. When the police showed up to stop the protest, Broun steered his congregation straight toward the police station. Despite a stern warning from police sergeant, the picketers continued to hand out flyers while sound trucks and vehicles plastered with pro-guild posters cruised the block. The Guild amplified its message for the next few days with radio testimonials, newspaper coverage. An airplane covered with pro-guild messages mad repeated flybys. The protest began with an enormous gathering as a thousand supporters rallied in the middle of Staten Island’s business section. To rile up the crowd, Guild members steered a sound truck through the streets, broadcasting boycott messages through loudspeakers. One of the organizers bragged “in the last twenty-four hours, the head of almost every labor union on Staten Island has promised his support.” The New York Typographical Union was the first blue-collar union to back up his claim. The major printer’s union brought moral support, but also brought workers to swell the threadbare ranks of the newspaper reporters and editorial workers on the picket lines. 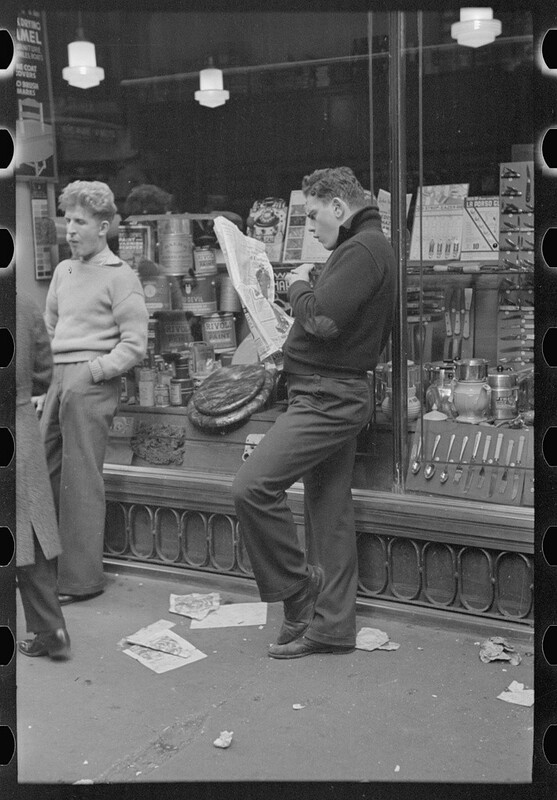 The president of the Typographical Union also encouraged unionized web pressmen (who managed the printing press paper rolls), the stereotypers (who set the metal printing plates) and newspaper deliverers to show support. 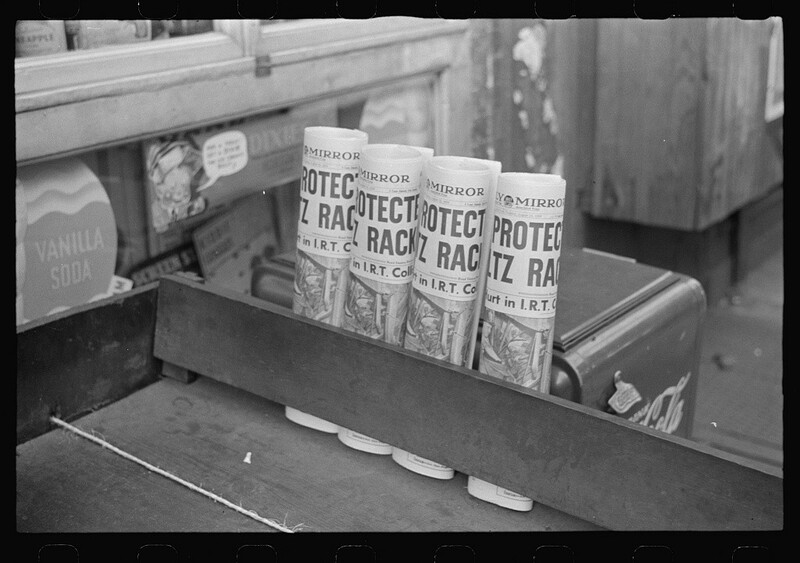 These unions provided material support as well, helping the Guild fund and print “a competing daily tabloid newspaper” to rival the Staten Island Advance. One week later, Newhouse returned to New York after a European vacation with his wife, and Heywood Broun and his guild picketers met the cruise ship at the harbor with loudspeakers and a protest boat, a public relations masterstroke that inspired more New York City newspaper headlines. Soon, the guild even picketed outside the mogul’s home in Manhattan, bringing the suburban battle to the city. “I will not be intimidated by picketing, hippodromizing or ballyhooing,” Newhouse told the Times, comparing protesters to the gamblers who fixed horse races, the long-forgotten art of “Hippodroming.” This time, Newhouse prevailed. The protests ultimately produced no legal repercussions, and the fired employee was never reinstated. The picket lines gradually faded out and the rival newspaper fizzled after a week of production. 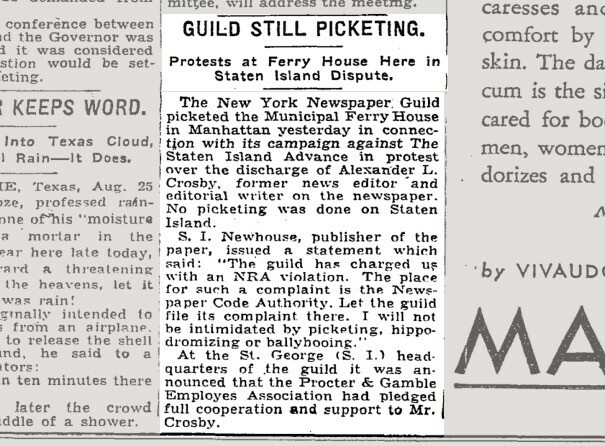 Worst of all, the Staten Island Advance circulation actually increased during the picketing, a humiliating problem for the guild trumpeted in a New York Times article later that summer. In November of 1934, the guild led its first full newspaper strike in support of editorial workers at the Newark Ledger. A number of employees had been fired for organizing, so forty-five guild reporters and editors walked out in solidarity. The guild applied all the techniques learned during the earlier protests: sound-trucks, a competing union newspaper, banners and marches. “I don’t think there is a person in Newark who doesn’t know about this strike,” wrote a reporter covering the strike for the radical magazine New Masses. “People from the curbs and from other cars which pulled up and shouted encouragement at us.” The Typographical Union, the Electrical Workers Union, the County Cigar, Stationers, and Newspaper Dealers Association and other blue-collar unions shared resources and marched alongside the Guild during the strike. It ended when a federal mediator intervened, and the besieged owner sold the whole enterprise to one S.I. Newhouse. It was an anticlimactic end to the Newark strike, but the guild had fulfilled its earliest, unstated function: to make some noise. Over the course of 1934, Broun and his crew radically shifted the conversation among journalists, editors and other newspaper workers. White-collar and blue-collar workers had worked together. “Any attempt to unionize leg, rewrite, desk or makeup men would be laughed to death by these editorial hacks themselves,” Reporter Unemployed had predicted in Broun’s column one year earlier, but the new union had proved him wrong. Broun died unexpectedly in 1939, while still leading the American Newspaper Guild. President Franklin D. Roosevelt himself added a tribute at the end of his obituary. Newhouse outlived his union foe and the Great Depression, but battled unions the rest of his career. “Newhouse and his brothers tried any and all angles to avoid having to pay reporters union scale,” wrote Carol Felsenthal in her biography, Citizen Newhouse: Portrait of a Media Merchant. Once he solidified control of the Staten Island Advance, Long Island Daily Press and the Newark Ledger, Newhouse also bought the Syracuse Herald and the Syracuse Journal during the late thirties. The mogul died in 1979, but his media empire now includes Condé Nast magazines, the Bright House Networks cable company and Discovery Communications, and his name is memorialized at the S.I. Newhouse School of Public Communications at Syracuse University. His son, Samuel Newhouse Jr. has a net worth of ten billion dollars. The American Newspaper Guild joined the American Federation of Labor in 1936, cementing the relationships with blue collar unions that Broun formed during his suburban newspaper battles. This national newspaper union joined the Communications Workers of America in 1997. Broun’s local Newspaper Guild of New York evolved into “The NewsGuild of New York,” a local union that counts almost three thousand members and is now part of the larger Communications Workers of America union. The aughts were not kind to unions in any profession. According to the Bureau of Labor Statistics, union membership hit a new low in 2014. Only 11 percent of American workers had union membership, compared to twenty percent of workers back in 1983. Publishing and newspapers saw major decreases as well. In 2002, ten percent of the traditional publishing industry was represented by unions, according to the Bureau of Labor Statistics. By 2014, only 3.6 percent of all employees in this sector had union support. It had been more than twenty years since digital writing could be considered a viable profession, but this new generation of writers did not find the sense of solidarity that mobilized newspaper reporters and editors during the Great Depression until recently. Employees at Gawker Media , Salon Media, and Vice Media all organized with the Writers Guild of America, East, over the last year. In July, Staffers at the Guardian US voted to join News Media Guild, another New York City local. By September, the digital journalists at Al Jazeera America voted to join the NewsGuild of New York, the union that evolved from Broun’s Newspaper Guild of New York. Ever since the first journalists organized, unions have been blamed for destroying the publications that they protect. During one union battle of the 1930s, Newhouse raged against a group of unionized Long Island journalists: “The Newspaper Guild, in plain words, forced the patient to die by threatening the doctor with a shotgun.” His metaphor made for good copy, but it doesn’t work. Newhouse was never a doctor trying to save a dying patient — like the publishers raising millions in venture capital in the aughts, Newhouse was a businessman seizing epochal opportunities. Unions unquestionably made Newhouse’s life more difficult, but they never stopped him from building one of the twenty century’s greatest media empires. Above all, the journalists Newhouse employed were not patients in need of life-saving surgery. They were workers cowed into the illusion that they were alone.